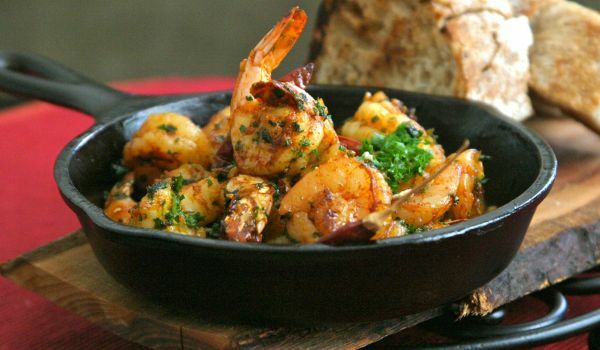 Gambas Al Ajillo is a Spanish specialty, made of prawns. Learn how to make/prepare Gambas Al Ajillo by following this easy recipe. Combine olive oil, garlic, chili peppers and cayenne pepper and place in an earthenware ramekin. Place the ramekin at medium heat and allow the oil to sizzle. Meanwhile, peel and wash the prawns. Dry them with a paper towel and add to the pan. Cook the prawns for 6 minutes, dividing time equally between both the sides. Allow the prawns to become pink and curl slightly.